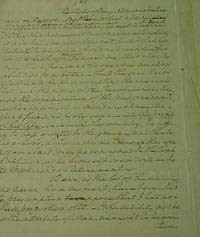 One of the most famous documents in American history, George Washington's Farewell Address, is preserved in its first draft in the collections of the New York State Library. 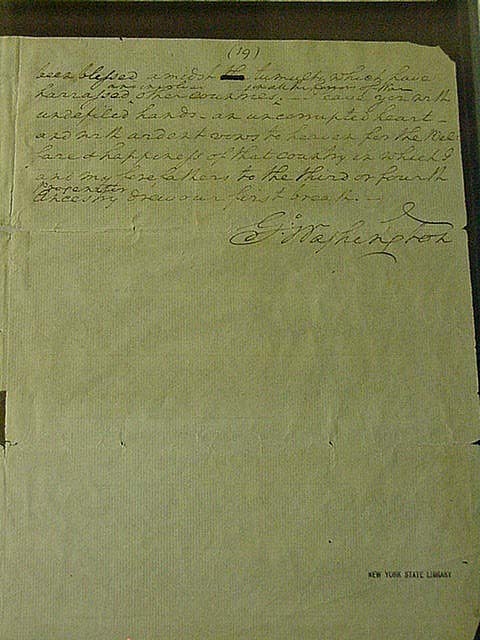 Penned in Washington's own handwriting, complete with strike-outs and corrections, the 19-page document was drafted and sent to Alexander Hamilton for comment on May 15, 1796. Washington prepared the address with the help of Alexander Hamilton and James Madison in 1796, when he decided not to seek a third term. Washington never did deliver his Farewell Address orally. The final address was published in the September 19th edition of the Philadelphia Daily American Advertiser, and in newspapers throughout the nation. The final address is in the collection of The New York Public Library. The Farewell Address represented part of Washington's legacy to the country that he served for over fifty years. Although the address was composed before political parties were fully accepted, Washington feared that they carried "the seeds of the nation's destruction through petty factionalism." The document also warns against "geographical sectionalism and interference by foreign powers in the Nation's domestic affairs"; it urges people to rise above petty concerns and act in the national interest. Washington also expressed the opinion that the United States should maintain an independent diplomacy and steer clear of permanent alliances with other nations because of the "insidious wiles of foreign influence." Transcription of the first draft of Washington's Farewell Address. The Library's Washington Collection also features prints, books, artifacts and manuscripts once owned by the first American president. Those items were purchased by the State of New York from Mrs. Lewis W. Washington in 1871 and have been preserved for posterity by the New York State Library since that time. Mrs. Washington was the widow of Col. Lewis W. Washington, grandson of William Augustine Washington, who was a nephew of George Washington. 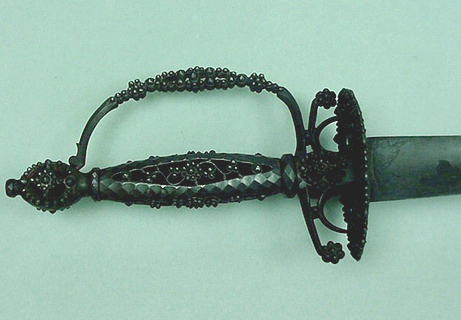 This is one of Washington's dress swords, alleged to have been given to him by Frederick the Great of Germany. It was frequently worn by Washington on dress occasions and is represented in the portrait painted in 1834 by Vanderlyn for the United States House of Representatives. 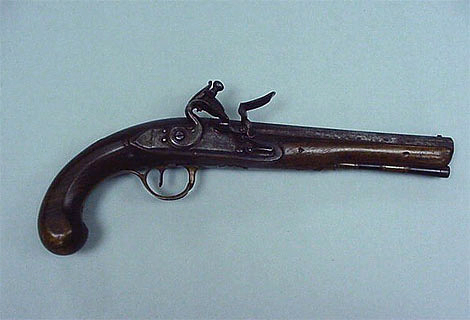 A horseman's pistol given to Washington by the Marquis de Lafayette. The pistol was one of a pair of heavy horseman's pistols which General Lafayette used during the Revolutionary War. George Washington's first career was as a surveyor, and the Library's Washington Collection includes some of his drawing instruments and surveying tools. 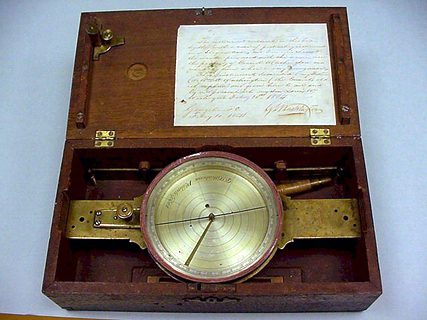 Particularly notable is a compass made by David Rittenhouse, the celebrated Philadelphia instrument maker. 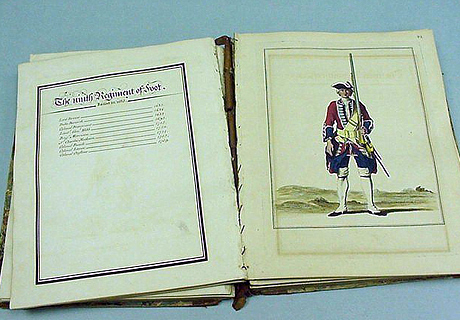 An extremely rare volume entitled A Representation of the Clothing of His Majesty's Household and of all the Forces upon the Establishments of Great Britain and Ireland (1742), a book of colored engravings of British military costume that was received by Washington in 1787. 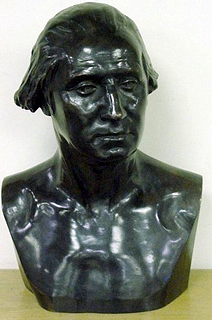 A bronze bust of Washington, copy of the Houdon Life-cast, cast by The National fine Art Foundry in 1877. The bust is signed on the right shoulder: HOUDON. LIFE-CAST and on the left shoulder: NAT. FINE ART FOUNDERY./M.J. POWER. FOUNDER./N.Y. This was the first casting made directly from the original plaster model, which was left by Houdon at Mount Vernon. At the time of the 1911 fire in the Capitol, the bust disappeared from the reading room of the State Library and was not returned until 1929. The bust then remained in the office of Governor Franklin D. Roosevelt until 1941 when it was returned to the State Library for exhibition with the Washington manuscripts and relics. Some other items in the collection include a tabulated statement of household expenses from 1789; the manuscript Opinion of the Surviving Generals of the Revolution penned by Washington; and a gold watch chain. The items in this collection were purchased by the State of New York from Mrs. Lewis W. Washington in 1871 and have been preserved for posterity by the Library since that time. Mrs. Washington was the widow of Col. Lewis W. Washington, who was a grandson of William Augustine Washington, who was a nephew of George Washington. The George Washington Collection is just one of many important documentary collections in the State Library related to the American Revolution. The Library's collection also includes a complete set of autographs of the Signers of the Declaration of Independence as well as hundreds of other manuscripts of soldiers and political figures from that era. Many of these documents are described in the bicentennial publication, A Guide to the Revolutionary War Manuscripts in the New York State Library, 1976. 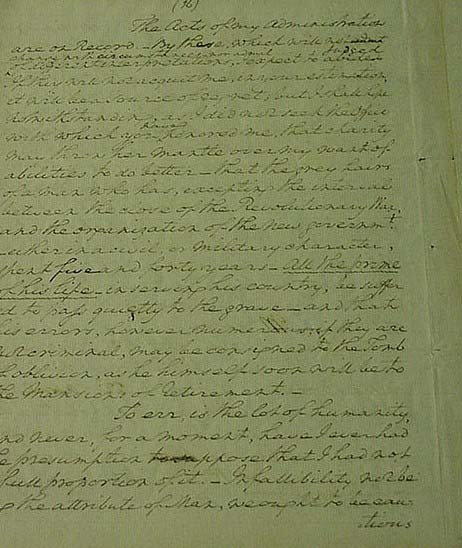 Many of the items in the Library's George Washington Collection, including the draft of the Farewell Address, are kept in the Library's vault and can be viewed when on exhibit. 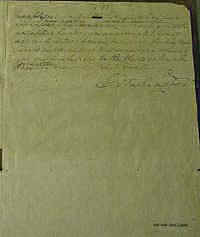 Most of the manuscripts and documents have been published and can be viewed in other sources available at the Library.